BMW’s mandate this year was more about presenting an array of new and improved well-established models than showing off, and it worked well for them. BMW North American VP Jack Pitney (who rode in on the company’s new 193 horsepower superbike) walked the audience through five models. 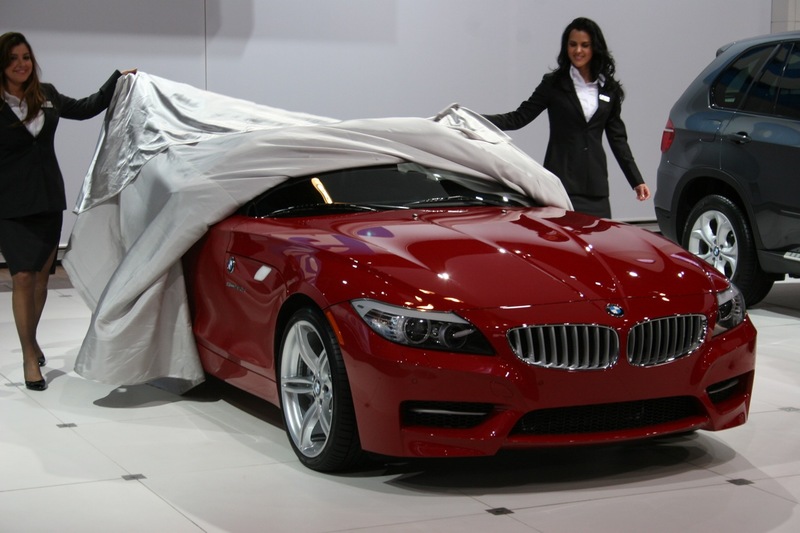 The 3-series and Z4 both received new, sportier models to top out their model range (not counting M cars, of course). Likewise, the X5 got an upgrade, with an eight-speed automatic and new engines capable of 25 mpg highway. 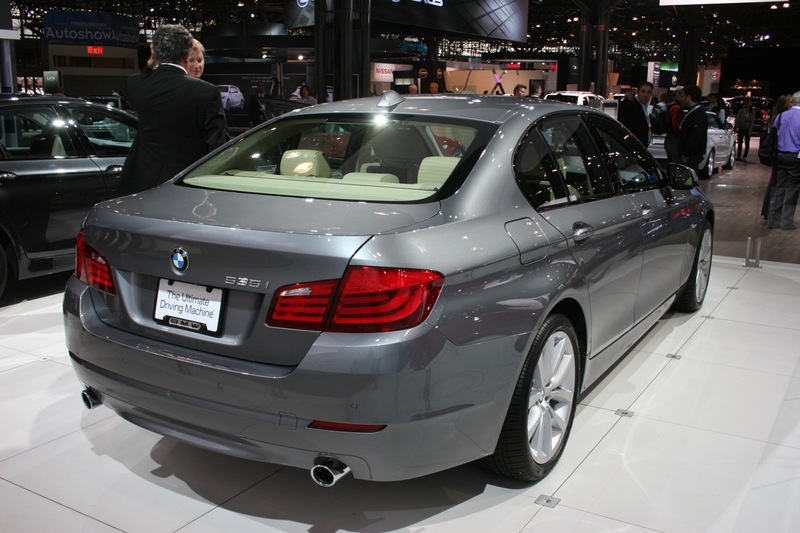 But the 5- and 7-series models were the press conference’s biggest stars. 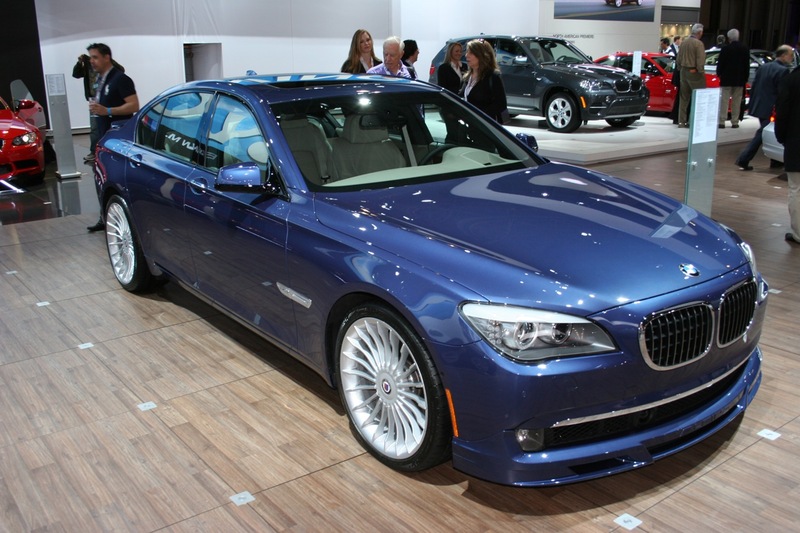 The new Alpina B7 made its stateside debut, with a 500 horsepower twin turbo V8 – and surprisingly, available AWD. While not present, the ActiveHybrid 7 also was mentioned – specifically, the fact that the 455-hp hybrid can do 0-60 in 4.7 seconds. 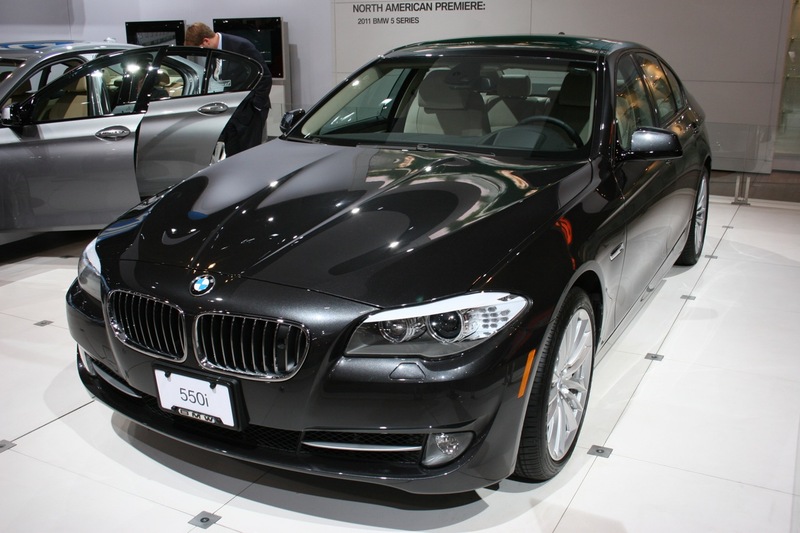 The new 2011 5-series also showed up. While most of the details were known far and wide before the show due to its earlier Euro unveiling, it was nice to see it in the metal; even nicer was the news that BMW will bring both 535i and 550i versions to the States with a six-speed stick at no cost. (This announcement sent a wave of unsolicited applause through the crowd.) If you’re lame, you can still get one with an eight-speed auto…but don’t tell your fellow Bimmerphiles.